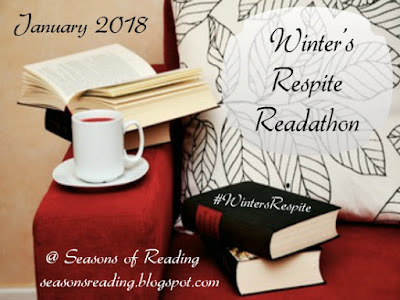 This is the official sign up for the Winter's Respite Readathon! All our regular seasonal readathons are now a month long so Winter's Respite runs for the entire month of January. Woot! So, we start at 12:00 am on January 1 and end at 11:59 pm on January 31. Times are set for the central time zone so adjust your times accordingly (you can use the link to the time zone converter in the sidebar menu). 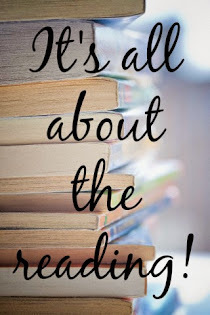 Of course, like most readathons, the books read must be novels or novellas, adult or young adult are fine, and you can read children's books (as long as you do read some novels too). Note: Non-Fiction is also okay! You DO NOT have to participate the entire month. Join in when you can, start in the middle, end early...whatever works best for your schedule. As with all of my readathons, it will be an event of relaxed reading during which we can personally challenge ourselves and whittle away those ever looming TBR piles/shelves/libraries. Our hashtag is #WintersRespite Also, don't forget about our Facebook group. You can access via the link in the sidebar menu. Hi Michelle. I’m looking forward to getting back on track. I’m going to try using Instagram as most of my book posts go there. It should be interesting to see how that will work out. Like Thomas the Train, I have an idea. I’m going to hand write my start up and wrap up posts then photograph them to post on Instagram. Looking forward to participating! Re-bitten by the reading bug and it feels great to have my nose in a book on the reg these days! Sounds like a fun way to spend a typical snowy winter month.Looking forward to taking part. Let's start the new year reading :D That sounds like an amazing plan! My TBR pile is threatening to topple over and bury me. It's hard to believe that I purchased most of this load in the last few months of 2017. I'm looking forward to this challenge. I will be reading fiction and nonfiction. Looking forward to starting the 2018 year with my hubby reading!! This is perfect. Count me in!!! This will be the perfect thing for cold, rainy January days. Get out the hot chocolate, add a dash of cinnamon and read in comfort! OK I'm on board for this month. I'll be posting the books on my Goodreads as I don't update my blog like I should. School is in it's last semester, so I hope to join more of these after May. Happy 2018! I cannot wait to share my reading experiences with everyone. Looking forward to participating in only my 2nd readathon. Over Christmas break I renewed my love of reading, and I hope to continue with the help of readathons. I'm a teacher and speech coach as well as a mother of two very active teens, so my reading time is limited, but hopefully I can read at least two books this month. Signing up very late, halfway into the month. But I'm hoping to pick up at least a couple of books!